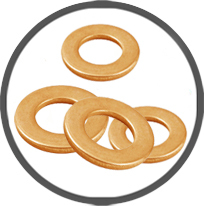 We have been engaged in Manufacturer, Supplier, Exporter a wide range of Brass Pressed Punched Plain Washers that caters to the requirements of various industries. 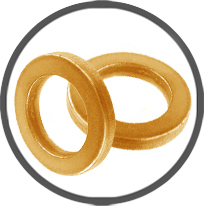 Our products include like plain washers, spring washers and machined washers among others. 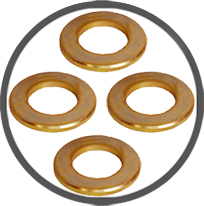 These brass washers are extensively used in automobile, engineering and other allied industries. We are offering these to our clients at affordable prices. 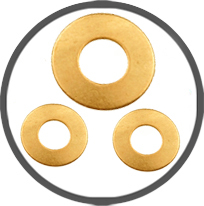 We are involved in manufacturing a quality range of plain washers, Brass Pressed Punched Plain Washers, which is offered in varied dimensions to meet different industrial applications.